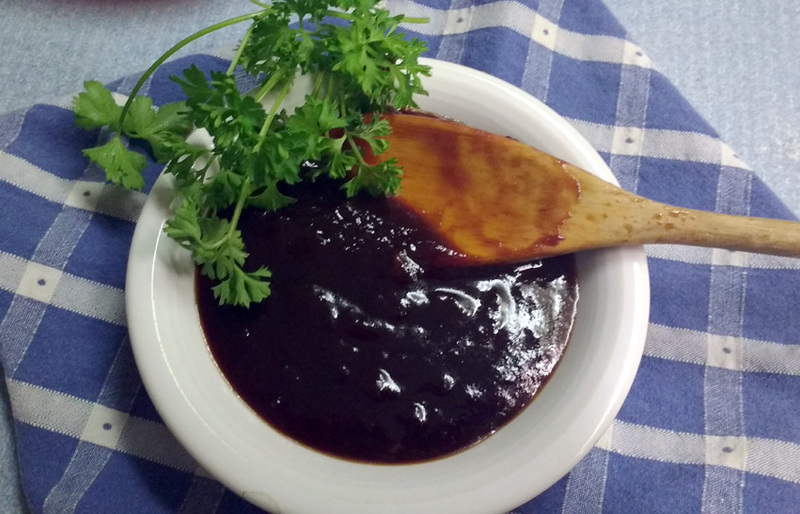 As much as I enjoy commercial barbecue sauce, Sweet Baby Ray’s is a favorite, I’m always on the lookout for new homemade from scratch recipes. Here’s one I found while searching the Internet for a chicken specific barbecue sauce. It has one of my favorite ingredients, chipotle adobo sauce. With slight and better modifications, the other ingredients are minimal and easy to find and use, and the process is quite simple. It has a sweet taste and a slight bite from the cayenne and adobo. Instead of chicken, I’ll be trying it on my baby back ribs for the final round 2017 PGA Players Championship this Sunday. *The adobo sauce from chipotle peppers packed in adobo sauce, not the peppers themselves. Heat canola oil in a saucepan over medium-low heat. Add onion and cook for five minutes, stirring, until soft. Add garlic and heat until fragrant, about one minute. Reduce heat to low. Add ketchup, brown sugar, apple cider vinegar, Worcestershire sauce, molasses, chipotle adobo sauce, and salt. Stir to combine. Bring to a boil. Immediately reduce heat to low. Stirring occasionally, simmer for 20 minutes, or longer to reduce to desired thickness. I simmered mine for nearly 90 minutes.